California police say human remains have been found in a burned-out cabin near Los Angeles where a murder suspect had barricaded himself. 1 SWAT officers search cars during the manhunt for former Los Angeles police officer Christopher Dorner, in Yucaipa, California, Feb. 12, 2013. 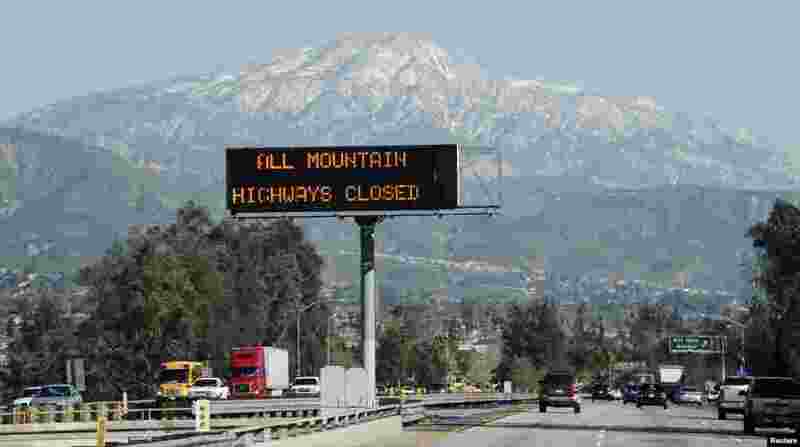 2 A sign near the San Bernardino Mountains warns of road closures during a manhunt for former LAPD officer Christopher Dorner, Feb. 12, 2013. 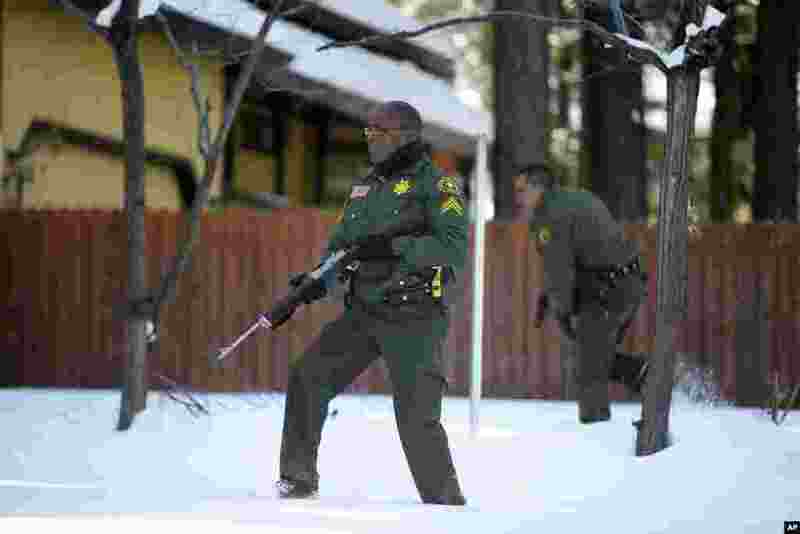 3 San Bernardino County Sheriff's officers search a home for former Los Angeles police officer Christopher Dorner in Big Bear Lake, California, Feb. 10, 2013. 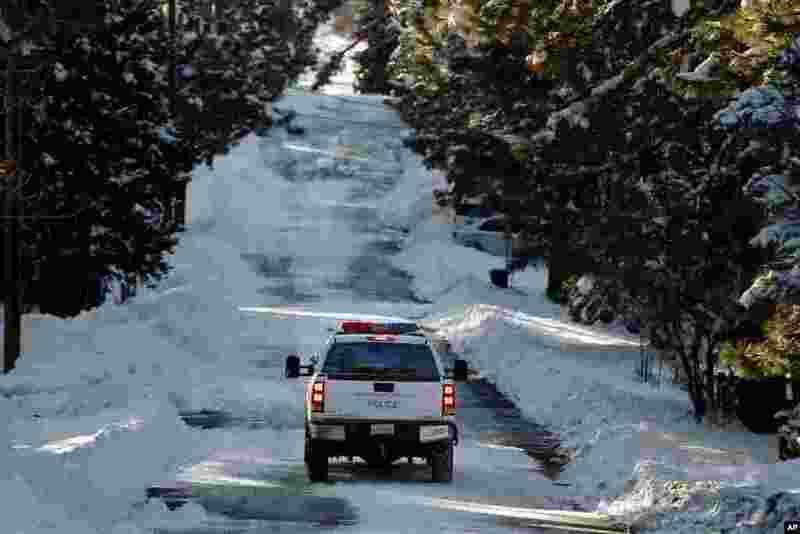 4 A police vehicle patrols the streets of Big Bear Lake, California, Feb. 9, 2013.